New York City has many walking tour companies — from free tours to food tours to neighborhood tours to expensive private walking tours. This place has it all, and with so much history and culture and so many nationalities represented here, it’s not really that surprising. New York seems to have a walking tour for everyone’s needs. I love walking tours. I think they’re a wonderful way to see a city, get your bearings, and learn about where you are from a local expert’s point of view. After all, why visit a place if you don’t want to learn about it? Over the last month, I decided to learn about my new home and took tours with most of the big historical walking tour companies (food tours are for another post) in order to find the best. My feet still hurt, but I learned a lot about NYC history. These free tours are offered throughout the city by volunteer guides, with multiple tours offered each day (On some days, you can find up to twenty tours being offered). You can find a wide range of tours (historical, food, cultural) that take you all over the city. The company really shines in its diverse catalog — there’s a neighborhood or tour type for everyone. Most of the guides are actors and other long-time locals. They add a bit of quirky history to each tour, and since there’s no set script, each tour differs based on your guide. (My SoHo tour guide waxed poetic on gentrification.) I’ve taken a number of their tours and wouldn’t hesitate to take more. You’re required to sign up for tours in advance. They request not just showing up on their booking page! One of my favorite walking tour companies, Context runs tours throughout the world, and I mention them on this website often. They offer a lot of tours in NYC, and I’ve taken three of them. 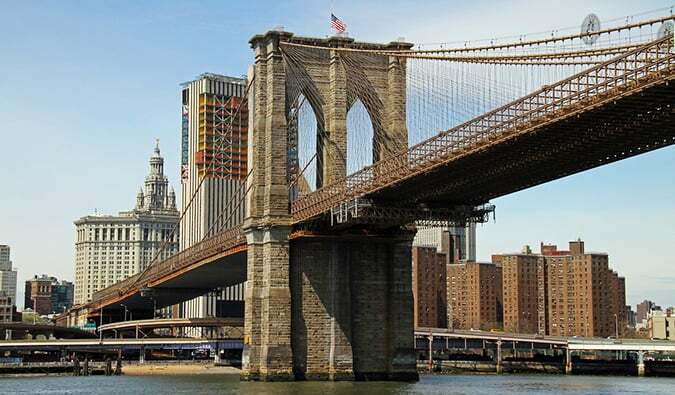 Most recently, I took the Brooklyn walk, which taught me a lot about Brooklyn and the construction of the Brooklyn Bridge. I’m also a big fan of their lower Manhattan historical walk as well as their architecture tour. If you want really intellectual and educational tours, this is the company for you. They aren’t the cheapest tour company in the city group tours start at $60 and go up to $105 per person but luckily you can use the code “nomadicmatt” to get 10% off. The folks who brought you Take Walks now run NYC tours and use NYC-based guides. I love both their Italy tours and their NYC tours. They special in behind the scenes access that other tours don’t offer. I went on their Met tour, which was hours of educational fun. Their Statue of Liberty/Ellis Island tour as well as their Disney tour take you behind the scenes and give you insider access you won’t get anywhere else I highly recommend all their offerings — the folks behind them really know what they’re doing. Tours range $55–150 per person. Big Apple Greeter was founded in 1992 and connects visitors with local residents who show them around their neighborhood for a day. These aren’t professional guides, just locals showing you their favorite spots. I haven’t taken a tour with this company in many years, but the concept is still spot on, and it’s something I highly recommend first-time visitors do. Demand is high, so it’s best to fill out the request form at least four weeks before your arrival. Meeting a greeter is free of charge and there is a no tipping policy. However, please consider making a donation to help this service continue. 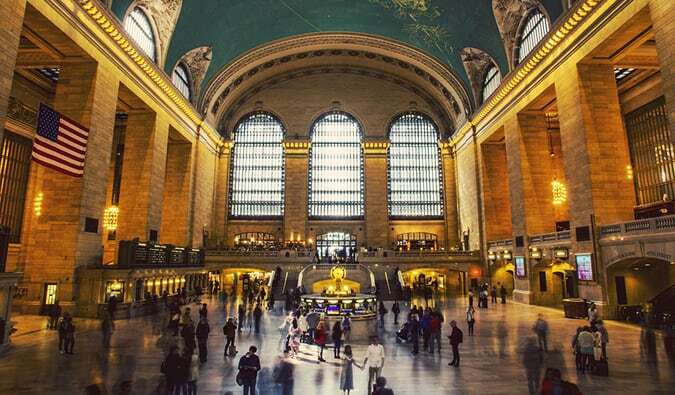 This is a free tour of Grand Central Terminal, highlighting the architectural history of the building and surrounding area. Grand Central has such an important presence in NYC history that I highly recommend taking this tour. And when you’re finished, head to the swanky Campbell Apartment for a drink (dress nice, though!). No reservation is required. The Grand Tour meets each and every Friday throughout the year at 12:30 pm. Ever wanted to know about the flora and fauna of Central Park? Well, now you can. Several free tours highlight the various features of the park. Not only do you get to walk around the park on a beautiful day, but you learn about what you’re looking at too! The tours are free and last under two hours— you just need to show up. 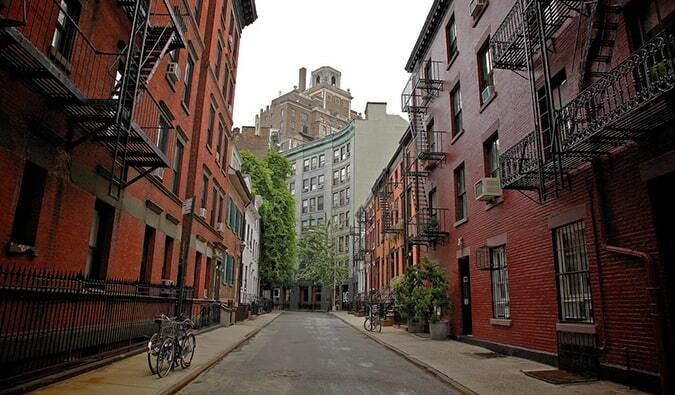 The Village Alliance offers free self-guided walking tours of Greenwich Village. You can get the itineraries and maps on their website so you can learn about the history and social culture of the area. You will also get information on the bohemian art scene, food, and gentrification. It last as long as you want it to. If you’d rather a guide, join a free Greenwich Village walking tour led by the Village Alliance, each Saturday from June through September. This tour is free. This is one of the biggest walking tour companies in New York. Using PhD candidates as tour guides, this company runs about 30 tours on varying days each month. I took the Prohibition walking tour. I liked my guide, and she provided a lot of historical information, but much of it wasn’t directly related to Prohibition. While that was a personal bummer (I’m a sucker for anything Jazz Age! ), I still really liked the tour and would recommend the company. Tours are only $25. The Bowery Boys started off as a podcast back in 2007, focusing on the unique history of the Big Apple. Since then, they’ve branched out and created their own walking tours based on some of their most popular episodes and topics. They offer 4 distinct tours that cover specific areas around the city as well as different historical periods, such as their Landmarks and Legends of Broadway tour. I like that their tours are limited to 15 people so you’re never crowding to hear the guide. Their tours last around 2 hours and cost $35. Be sure to book in advance since there is limited space. Greenwich Village Literary Pub Crawl — Actors from the Bakerloo Theatre Project take visitors around bars in the West Village and fill their heads with information about famous drinking writers and their stomachs with a lot of beer. Come thirsty! Harlem Your Way — This tour visits the main sites in Harlem, and on Sundays, the Gospel Walking Tour takes you to a music-filled service at a neighborhood church (very popular with Europeans). Walking tours range from $25 to $75. Joyce Gold Tours of New York — Joyce Gold is a 30-year tour veteran who teaches history at NYU and leads very informational small-group tours around the city. Her history-focused tours are very detailed. Go if you’re a history buff! There are lots of tours to choose from and all are $20. 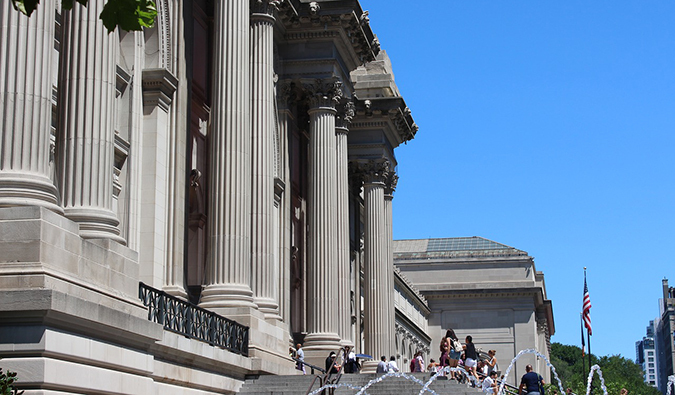 New York Gallery Tours — This tour company takes you to a wide variety of galleries throughout New York City. It’s a great way to see up-and-coming art without having to figure out what galleries are worth seeing. The galleries visited frequently change, so check the website for tour information. Tours are $25. New York TV and Movie Tour — This tour takes you to all the famous spots you see in movies and on TV. Tours are $45. Although many companies offer a lot of the same tours and routes, what really makes these companies stand out are the different guides and styles each one employs. If you have a few days in the city, I would mix and match a few tour companies. 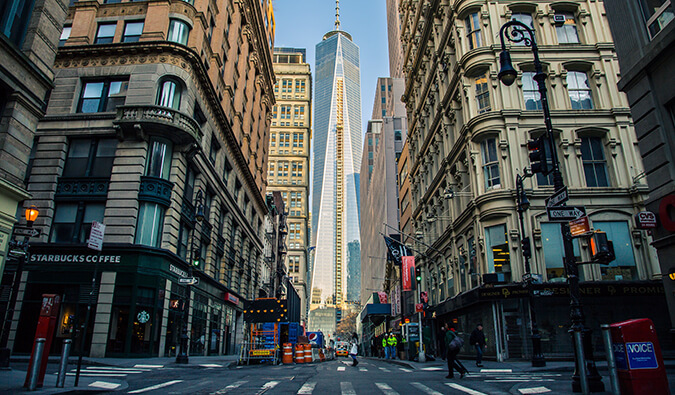 But no matter what company you tour with on this list, you’ll learn a lot, have fun, and discover parts of NYC with these walking tours you wouldn’t have found otherwise. Nothing can replace an insider’s tour of a city! P.S. Be sure to always tip your guides — free tour or not! All images (except the top one) are taken from each company’s website. 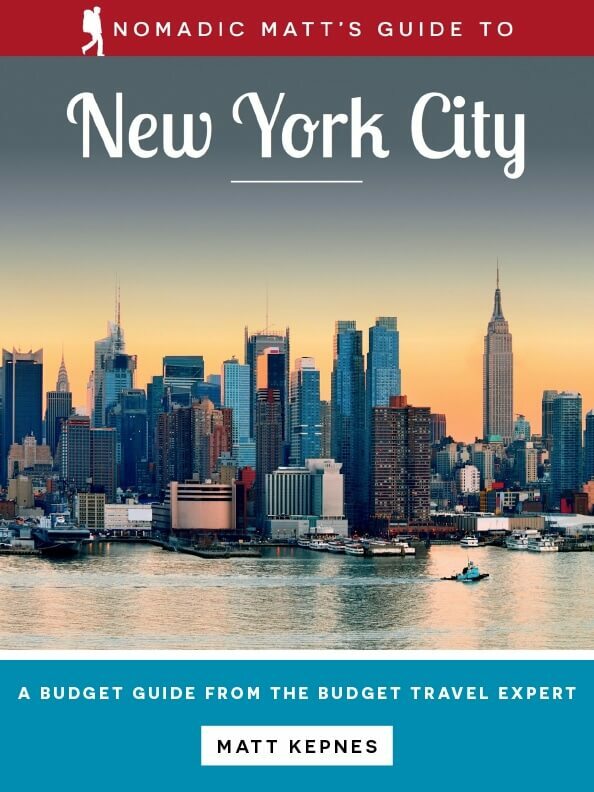 Get the In-Depth Budget Guide to New York City! For more in-depth information and tips on NYC, check out my 100+ page guidebook written for budget travelers like yourself! 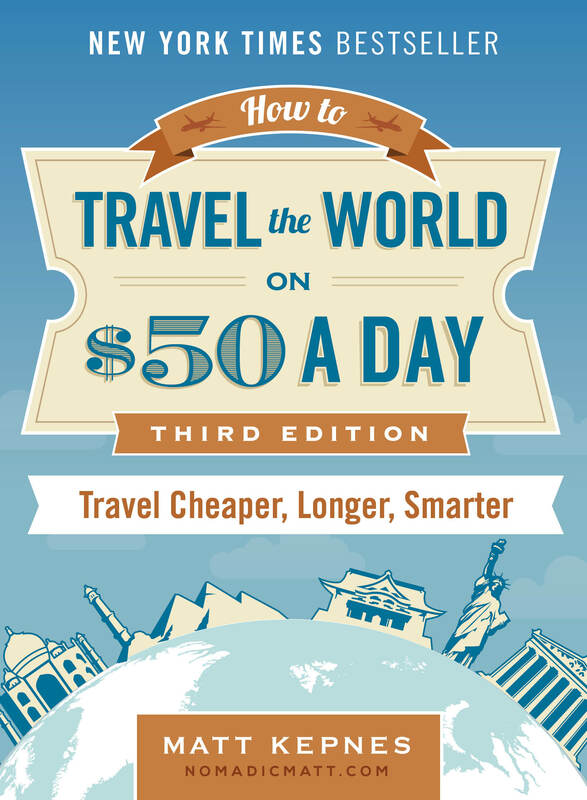 It cuts out the fluff found in other guides and gets straight to the practical information you need to travel and save money the city that never sleeps. You’ll find suggested itineraries, budgets, ways to save money, on and off the beaten path things to see and do, non-touristy restaurants, markets, and bars, and much more!! Click here to learn more and get started. 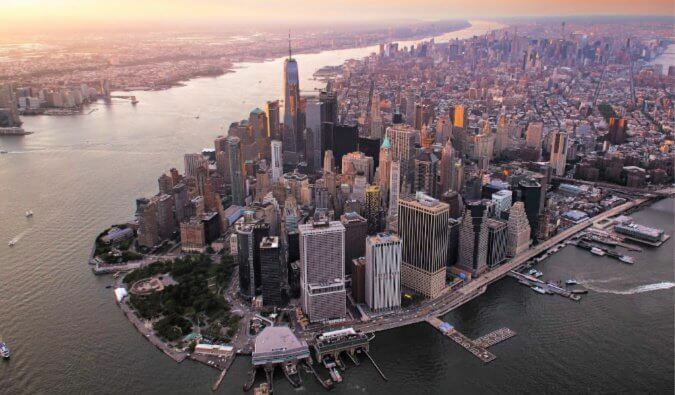 Find a cheap flight to New York City by using Skyscanner or Momondo. They are my two favorite search engines. Start with Momondo. Want More Information on New York City? 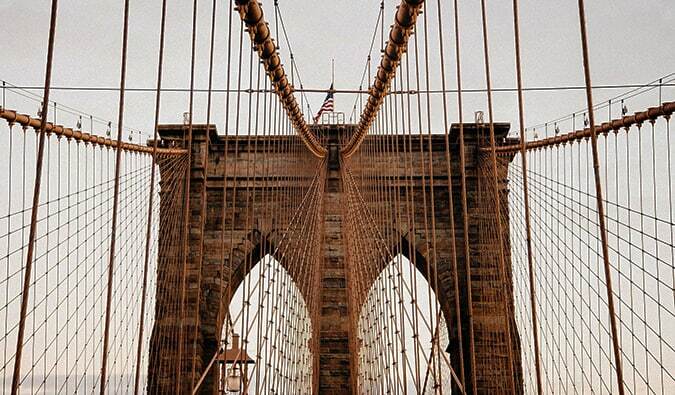 Be sure to visit our robust destination guide on New York City for even more planning tips! I totally agree with you Matt, walking tours are a great way to see a place! And it’s nice to get some exercise :). I have never been on a walking tour in NYC though. Will definitely check some of these out on my next trip to the Big Apple. The Free Tours by Foot sounds wonderful, as well as the New York TV and Movie walk with Wall Street Walks. Would be great fun to see places where famous movies and TV shows were filmed! I love a walking tour, especially the “free” ones that are popping up all over the world in just about every city now. It really is a great intro to a city, its most important sights and history and of course it’s food. I was slightly disappointed in the Grand Central tour when I did it a few years back, but I think that was mostly to do with the guide who looked and acted as though he didn’t want to be be there. I’ve heard only good things about the Big Apple Greeter tour and wish I had taken their tour when I arrived. Like you said, its a really great concept. Maybe next time. I always try to take a walking tour of a new city if they’re offered. Sadly, I didn’t get a chance to do so in New York, but these suggestions will be really helpful for the next visit. I did join a couple of walking tours in Washington DC though, which were offered through the HI Hostel there. They were great – the tours were interesting and kept your attention, and the guides really friendly. Thank you very much for sharing this very fascinating post! Unfortunately so far many cities have not added walking toues to their offers for visitors and newcomers. I have just experienced a historical walking tour on the Algarve – and it was very fascinating and added a lot to what I already knew! Thanks for the timely post! I am planning a NYC trip for October and will keep these tours in mind. I am particularly interested in tours like the food tours that take you around the city on public transportation. Not only does it broaden the area you can cover, you get to learn a little about getting around the city, which benefits the rest of your trip. Ooh, good info for my next NYC trip (whenever that is). Last time I was there, I took a really impressive walking tour run by the Tenement Museum – a food tour of the Lower East Side. The tour was fantastic, AND I got to eat. Highly recommended! I only heard about the Big Apple Greeter tour after I visited New York but I wish I had heard about it earlier. The Village Alliance sounds like a great tour, I love Greenwich Village.